Sweet and delightful, this white chocolate rum ganache recipe–such a simple sauce–is flavored with just a touch of rum extract. 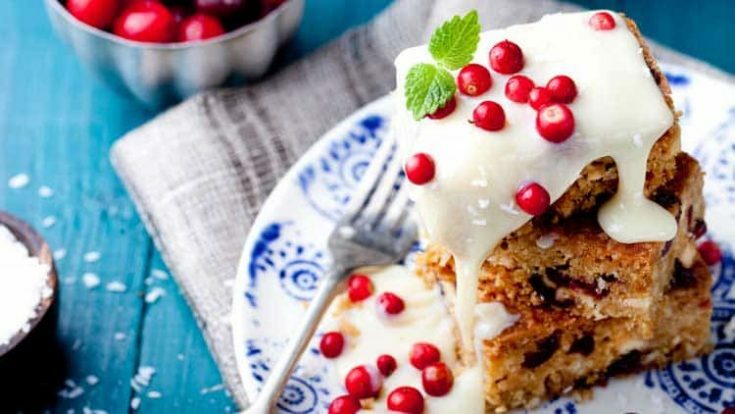 Perfect for drizzling over cakes and other desserts, and super simple to prepare, and delicious served over Melt In Your Mouth Carrot Cake, Pumpkin Dump Cake, Pumpkin Pancakes and Carrot Pancakes. Our White Chocolate Ganache would also any other number of sweet treats. Maybe serve it poured over your next banana cake or batch of pumpkin cookies? Yum! Not familiar with how to make chocolate ganache? We weren’t either until we started to play around with chocolate ganache recipes. But, it was liberating to know that chocolate ganache is not difficult at all to make. And–you can make it at home with just a few ingredients. Truth be told, there are several levels of ganacheness–you have your chocolate snobbery ganaches made with only the finest chocolate, and then you have the sweet and simple chocolate ganache that I like to make. Don’t get me wrong, I’d totally go for the finest chocolate ganache ingredients, if I had them on hand on a regular basis–but lets face facts. I don’t normally buy indulgent ingredients when there is a less expensive variety that will serve my purpose. So…for chocolate ganache, I typically use chocolate (or white chocolate) chips. Easy peasy, and I normally already have some in my pantry. Heat cream on stove and bring to a boil, stirring continuously. When it reaches a boil, add chocolate and stir until melted and smooth. It will thicken up a little as you stir. Add the rum extract. Serve warm or cold. If serving cold, go ahead and place in the refrigerator to cool off, but remember that it will thicken as it cools.